Add John Craig to your favourites! John Craig is your on-trend men’s fashionwear retailer dedicated to trendsetting men and distinguished gentlemen who know what they want. See the John Craig catalogue for special promotions. John Craig is a great place to shop if you're looking for leading trends in men's fashion, with footwear and clothing items to suit every occasion. At John Craig you will find clothing brands that are exclusive to John Craig stores like Marino Mirelli, Muratti, Carano and Dobber. View the John Craig suit catalogue for great tailor-made suits for all your special occasions. 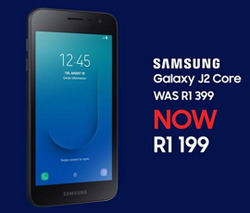 If you're looking to get a smart device then you will be delighted to know that there are John Craig cell phones from Vodacom and Mobicell networks featuring top brands like Samsung and Huawei. Qualifying shoppers can purchase throughout the year with John Craig credit so make sure that you see the latest John Craig catalogue for money saving specials. 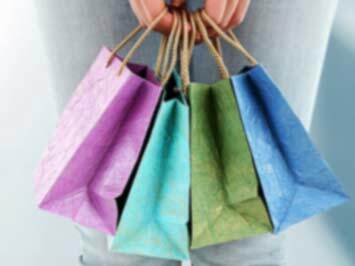 You can also utilse the online store to shop from the comfort of your home. John Craig has been around since 1974 when it was privately owned by a family. They specialised in men's clothing and what started off as one store in Johannesburg South Africa it has steadily grown throughout the years. Today there are more than 60 John Craig stores located throughout South Africa, mostly in large shopping malls. John Craig prides itself in bringing shoppers a full range of high-quality men's wear and also have their very own brands that are solely exclusive to John Craig stores. John Craig is your leading store when it comes to shopping for the latest on-trend menswear fashion, accessories and even smart mobile devices. 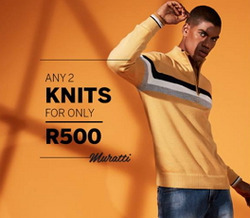 Get great prices without compromising on quality and enjoy your new wardrobe that is on-trend each season. Exclusive John Craig brands include Muratti, Dobber, Carano and Marino Mirelli, these brands cover footwear, golfers, trousers, shirts and more in the John Craig clothing range. You can also purchase from a wide selection of John Craig cell phones so you can stay in-touch with everyone whilst on the go. The John Craig newsletter will keep you in the know of all the latest news and trends. See the John Craig catalogue for specials on selected items and take advantage of shopping on credit and enjoying flexible repayments - ask in-store for details or apply online. Do you want to receive more John Craig deals by email?